Why is it important to maintain my vehicle’s tire pressure monitoring system (TPMS)? How can I tell when I need to have my TPMS tested? 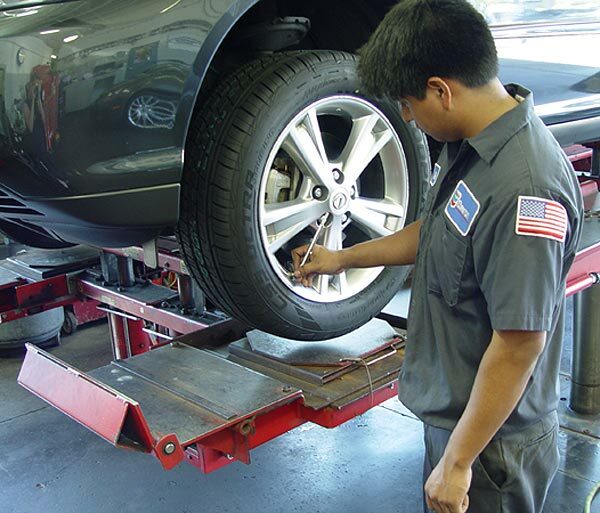 Most of today’s vehicles come equipped with tire pressure monitoring components. If you see a ‘low tire pressure’ warning light when the ignition is turned on with the key, then you have a TPMS system. If your warning light comes on and stays lit, it means your tire pressure has fallen to 25 or more percent below the manufacturer’s standard level. You should immediately bring your vehicle to Klahanie Service Center for an inspection and correction of tire pressure and sensors.